Ideal for outdoor and in-wall applications, the 14-Gauge, Two-Conductor, Oxygen-Free Burial-Rated In-Wall Speaker Cable in a 100-foot length is CL-rated and ready to connect your audio. 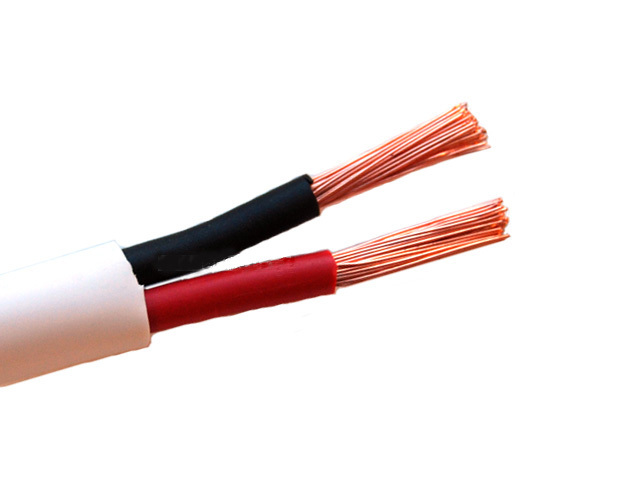 With a specially formulated UV-resistant, white polyethylene jacket that provides protection against water damage, this high quality wire contains 41 strands of 99.9 percent pure copper conductors. It's RoHS-compliant and CL3R-rated for residential and commercial use. Is this wire "CL" stamped/labeled? I have two outdoor speakers that I need to connect to my deck radio. The wire will be exposed to the sun, because it will sit on top of my patio cover. What is the best wire for my system? What kind of connectors will I need when splicing the wire? i'm looking to run speaker wire from an inside receiver, to 4 outdoor speakers. Can i use this wire w/o running conduit under my deck or would rodents/weather be a concern? Will the wires corrode? I used a different brand of wire that claimed to be weatherproof, but it corrodes every season, and I have to cut it back about 3' to fine uncorroded wire. 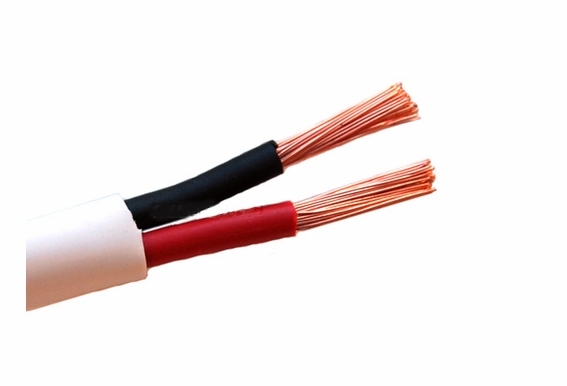 You stock Monoprice 104045 100 ft 18AWG CL2 Rated 2-Conductor Oxygen Free Pure Bare Copper Speaker Wire Cable, I wanted to ask if this was suitable for outdoor use and UV safe, also what is the main difference with 12/14/18AWG thickness? do you have 300 foot roll, or waterproof connectors for underground ? What is the outside diameter of the cable?